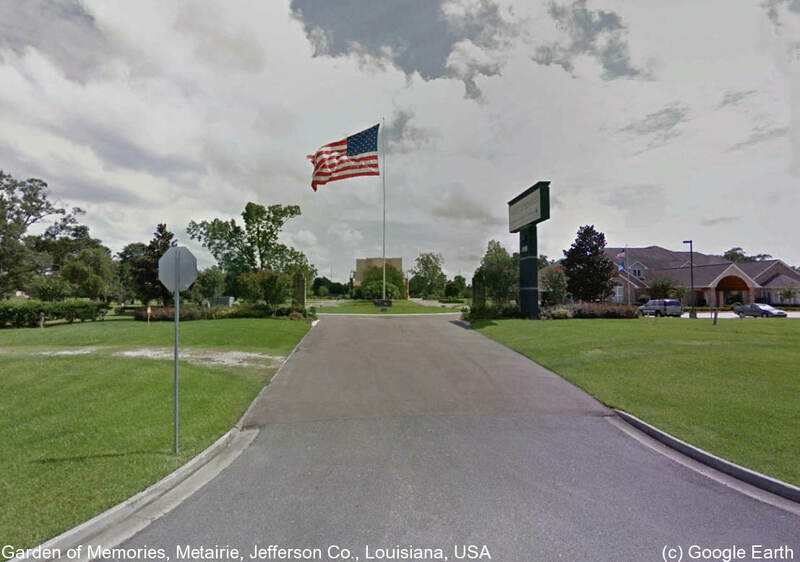 Over sixty-five well-maintained acres make up the beautiful Garden of Memories in Metairie, Louisiana. Garden of Memories was started in 1939 with the purpose to create a cemetery offering below ground burials. The cemetery has grown throughout the years and is now the largest single park area in the Jefferson Parrish. Now part of the Dignity Memorial network, Garden of Memories has over 65 acres of trees and lush landscaping. The grounds are also home to the Thomas Jefferson Arboretum as well as one of the earliest memorials in Jefferson Parish that honors not only Veterans of the Vietnam War but also Prisoners of War and those missing in action. These sections honor all branches of service and pay respect to those who served our country in combat. Garden of Memories not only offers professional, caring service by trained staff members but it also gives families various burial options?everything from ground burial to indoor and outdoor mausoleums to lawn crypts. This southern cemetery not only memorializes those who have fought for their country but also those who consider the Cajun state home. The serene grounds of Garden of Memories commemorates the lives of those at rest and gives family and friends a special place to take a peaceful moment to remember their loved ones.